Track and field is a very hard sport to be in if you do not like to work out mentally and physically.Most people who run track and love it are those who take the sport serious and plan on running in college. Here at Carson Senior High School we push each other to do the most possible. CHS Track team has won multiple city and state titles. The team has their own individual skills that contribute to the team’s success.The colts took control over the Los Angeles City Section in 2016, coming back in 2017. In addition, the Carson girls won the State title back in 2016, unfortunately the colts did not win state in 2017 due to the competitive rival Poly High School. 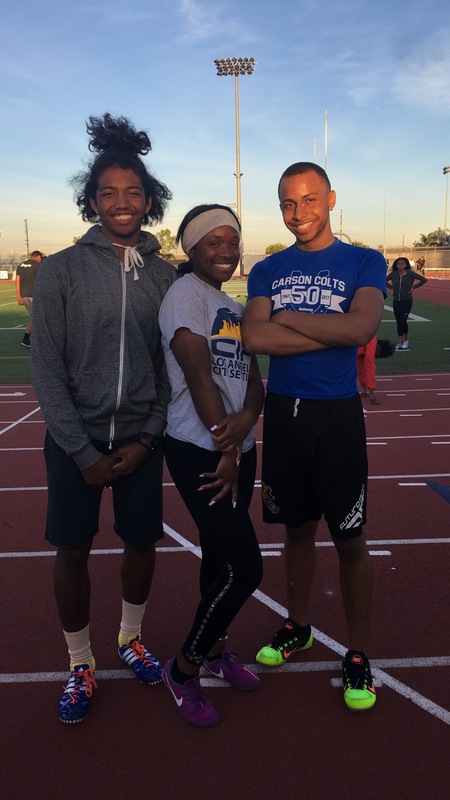 For this year the Carson colts track team has more commitment and dedication to accomplish their goals for the upcoming season. Janan Youngis a senior at the Academy of Education and Empowerment she strongly believes that she will get a scholarship to a school of her choice. “I have worked so hard to be where I am in this world today and I will not let that go to waste,” Youngis said.